All the postgraduate diploma courses offered and conducted throughout the country are being changed as post graduation courses. The Indian Medical Council has decided to implement this from the academic year 2018-29. There are more than 26000 seats available throughout the country to pursue the post graduation courses such as MD and MS and also the postgraduate diploma courses in the medical field. There are around 2500 seats available for this in the state of Tamil Nadu alone. There are more than 2000 courses on medical postgraduate diploma courses throughout the country. The candidates who have completed the MBBS course and interested pursue the 3-years post graduation courses such as MD and MS or the 2 years medical post graduation Diploma. The doctors who complete the 3 years postgraduate courses tend to work in the cities whereas the doctors who did the 2-years post graduate diploma course work in rural or village areas. This has created a prevailing status difference among the doctors. This has led many candidates who did the 2 year course to revert and join the 3-year post graduate course and complete the same as well! In this situation, the Indian Medical Council has decided to change all the medical postgraduate diploma courses of 2 years into post graduation courses throughout the country. Accordingly, the Indian Medical Council sent letters to the state governments to obtain the statistics/status of the details of the medical postgraduate diploma courses in their states. The secretary of the state government of Tamil Nadu Department of Health, J. Radhakrishnan responded that there are 393 seats available for the medical postgraduate diploma courses in the state of Tamil Nadu. As regards the private medical colleges in the state, Dr. MGR University has informed about the number of seats available in the medical postgraduate diploma courses. In a similar trend, all other states have also furnished the above details. The Indian Medical Council is all set to implement the proposed change for the admissions during the academic year 2019-20. It is noteworthy that the earlier medical postgraduate diploma courses were offered and pursued well over the last 50 years. The Secretary of the non-governmental doctors’ Association, Dr. Karthikeyan explained in this regard: ‘It is a welcome change to convert the present 2-year medical postgraduate diploma courses as full-fledged post graduation courses. This would also increase the number of seats for pursuing medical post graduation courses. There would be no status difference among the doctors. The secretary of the Tamil Nadu Medical Officers’ Association, Dr. Kathirvel shared in this regard: ‘there is no 50% reservation for the government doctors in the 3-year medical post graduation courses. 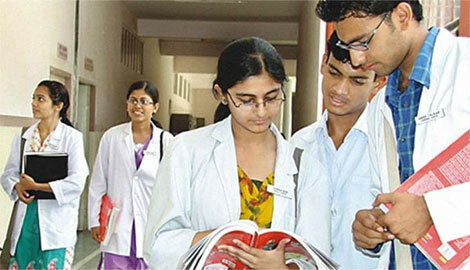 However, there is a prevailing 50% reservation for the 2-year medical postgraduate diploma course! Presently, the doctors who did the 3-year medical post graduation courses are working in the cities whereas the doctors who completed the 2-years medical postgraduate diploma course are working in rural areas or villages. However, the newly revised system will offer more seats. At the same time, as there are no quotas for the government doctors, the number of doctors working in rural areas or villages will reduce. This may lead to a situation where village people will not have access to medical treatments.